Looking for a new Honda? 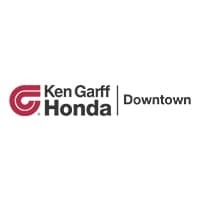 Look no further than Ken Garff Honda Downtown in Salt Lake City, UT. Our Honda dealer in Salt Lake City offers a full lineup of new Honda models as well as pre-owned vehicles from different manufacturers. Our friendly Honda dealership staff is dedicated to putting you behind the wheel of the Honda vehicle you want at a price you’ll love. Browse our online inventory and request more information about our vehicles from one of our expert Honda sales professionals, or set up a test drive today. If you don’t see a particular vehicle, please go to Salt Lake City Honda CarFinder and complete the form. We will gladly inform you when a matching car arrives. Visit our Salt Lake City Honda Dealership finance page to get pre-approved today! Our finance staff is dedicated to putting you in the car you want, at a price you can afford. Our dealership also offers competitive auto lease options for our drivers not looking to purchase a new vehicle. Whether you are considering to finance or lease your new Honda car, truck, van, or SUV, our dealership’s finance experts will work to arrange affordable payments for you. In addition to our fantastic finance and lease options, we offer a large variety of vehicle specials including incentive offers on most new Honda models.